VANCOUVER ISLAND — It has been an exciting week for Vancouver Island with the opening of Pacific Football Club’s store and the announcement of Pacific FC’s first-ever signing, Canadian youth international Kadin Chung. The local fullback was born in New Westminster and grew up plying his trade on Canada’s west coast. The coastal culture is a unique one that the Chungs know well. Kadin’s father, Arthur, immigrated from the Philippines to Burnaby, while his mother, Rhonda, grew up on Prince Edward Island, where she was a competitive swimmer. “She’s always been close to the water. So raising us has always included the love of the water, and being around the coast is what has shaped us,” Chung said. Chung is the eldest of three brothers; Logan and Evan play soccer for the Vancouver Whitecaps Academy and Coquitlam Metro-Ford. 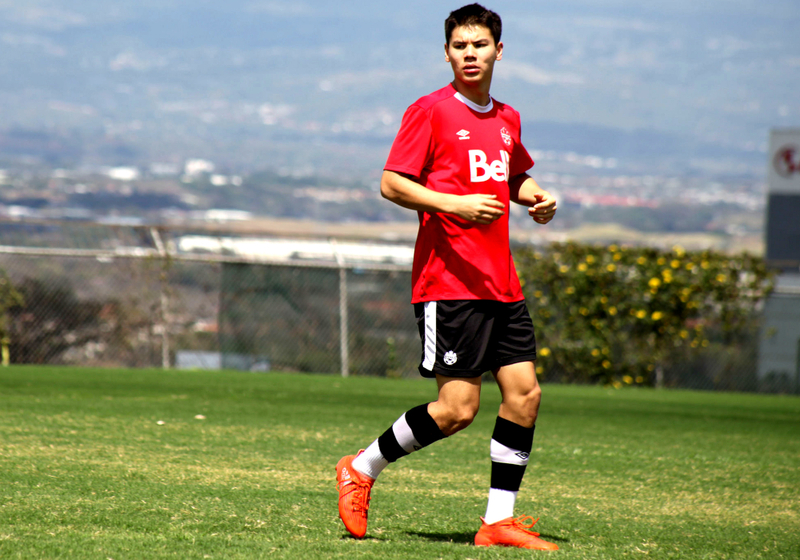 Growing up in Coquitlam, Chung credits his family for playing a massive role in his soccer development. “They were a huge factor. My dad just told me a story the other day. I used to come down at around 6 a.m. in the morning when I was four- or five years old, sit in front of the tv and watch the English Premier League,” commented Chung. “They were telling me that I would wake them up, so they saw how much I was into soccer, so they put me into soccer. It’s official. Westhills Stadium is going to be a good time. Stadium information and season membership pricing is now available through our website. Secure your #PacificFC season seat today! ? Some of Chung’s fondest memories of playing came across the Georgia Strait on the Island. Looking ahead, Chung spoke about what it will mean to feature at home when the CPL kicks off in April. Pacific FC officially reveals secondary logo, downtown store, stadium renderings Kadin Chung returns to B.C. hungry to prove himself at Pacific FC Is Pacific FC to HFX Wanderers one of the longest road trips in professional soccer?